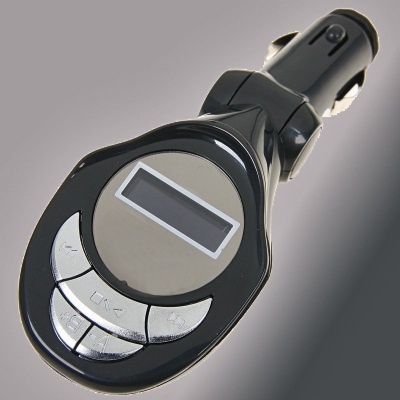 FMmodulatoror transmitter, it is convenient to use in car to play audio files recorded on a flash drive if your music system is not equipped with a USB interface. All FMmodulators work on a simple principle: the device plays audio files from memory external media (or internal memory) and translates them to the installed radio frequency in FM band. On the same frequency is configured, the car audio system or a radio that allows you to listen to recorded files. To connect the FMmodulatorand it is enough to have in the car-free 12-volt outlet or cigarette lighter. Insert in the wall socket , the modulator and use the buttons to set the radio frequency in FM band, which is not being broadcast on local radio stations. It is best to choose the frequency that maximally remote from the frequencies at which transmit radio stations so when playing the modulatorOhm audio no artifacts. Now turn on car radio and adjust its receiver to the frequency that was established in the modulatorE. Turn on the modulatore playback by pressing the Play button. If everything was done right, from the speakers of the car radio, you will hear the sound of the audio files playable modulatorom.